Celia graduated from Hanover High School and Fisher Junior College. 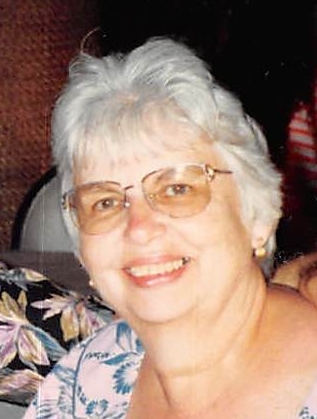 She worked at Bay Bank in Randolph, MA and North Abington Cooperative. Celia was a member of Ladies' Solidity of St. Bridget Church for many years, enjoyed frequent trips to Vermont to visit her brother and family, travel to Florida and Hawaii for visits with her son and daughter, volunteering her time at many local charities and St. Joseph's Nursing Home in Brockton, MA., morning coffee at local shops with her friends and social gatherings with family and friends, monthly trips Foxwood Casino, and special time with her grandchildren. Special thanks to the staff at Harbor House in Hingham, MA for the care and compassion they provided. In lieu of flowers please make a donation to the Alzheimer's Association or a charity of your choice. Funeral from the Quealy & Son Funeral Home 116 Adams Street, Abington Tuesday October 30 at 8am (viewing) followed by a funeral mass in St. Bridget Church, Abington 9am. Interment Hanover Cemetery, Hanover.